Haven't had much else to do lately and have recently run into an artists block. I wanna draw a TF character so would like a bit of help deciding who. 2) someone Alex Milne hasn't drawn regularly (as i'll be using his influence). 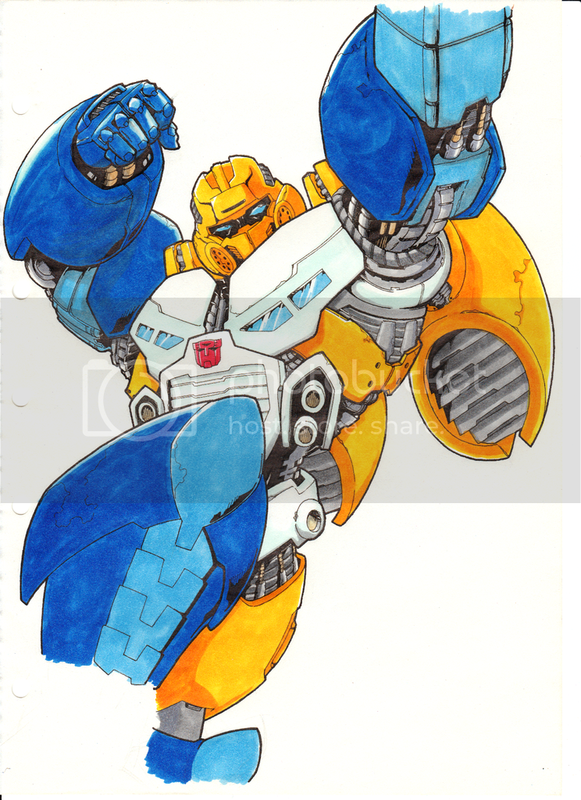 I like seaspray, but what about twintwist? Hey I do a bit of doodling too , how bout a friendly little comp ? No pressure. No deadlines. Post when you can and see what everyone has to offer? I'll personally stick to my 2 stipulations though. Just for this piece. Here's my Megs drawing I did an hour a go , roughly 20 minutes to draw. I'm use to drawing quickly. Just exactly how many artist are there ? And yes, Jumpstarters do need some attention. That megs is awesome, unfortunately my artistic talent begins and ends when signing my name, so will be watching this thread with interest. loismustdye wrote: That megs is awesome, unfortunately my artistic talent begins and ends when signing my name, so will be watching this thread with interest. You know calligraphy is an art maybe you have an hidden talent?